Our cross sell solution is built on the standard Yahoo Cross Sells function. It shows items related to the currently viewed product either based on the cross sell rules you set up, or by using the Yahoo! 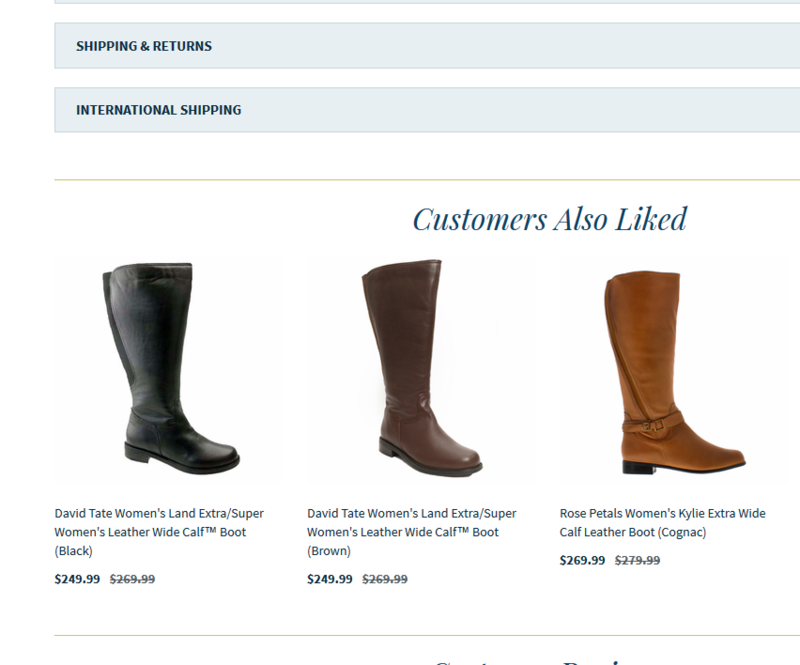 AutoSuggest feature (this feature recommends products based on past shopper browsing and buying behavior.) If there are not enough cross sells to show, they can be padded with either manually specified items or with items picked at random from the current parent category. 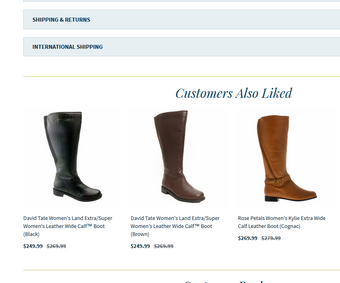 Includes a nicely formatted, responsive product scroller if there are more items than can fit on the screen. If you want to use larger images than the standard 70x70 provided by the built-in yahoo cross-sells, then you'll need to have access to a web hosting account such as the one that comes with a Yahoo Merchant Solutions account. Legacy Yahoo stores will need access to third party hosting.